Video creation platform Rocketium.com Technologies Pvt. Ltd said it has raised Rs 2 crore (around $300,000) in a seed round of funding from early-stage venture capital firm Blume Ventures and a clutch of angel investors. Raghunandan G, co-founder and former CEO of Ola-acquired cab aggregator TaxiForSure; Hari TN, human resources head at online grocery store BigBasket; and senior executives from Apple, Freshworks, Microsoft and SpaceX participated in this funding round, Rocketium said in a statement. The company was founded by former TaxiForSure employees Satej Sirur and Anurag Dwivedi. It will use the funds to expand its global footprint by hiring sales and marketing executives and building a machine intelligence team to automate the video creation process. "We want to complement our organic growth so far with global sales and customer acquisition channels," said Sirur, who is the CEO of the firm. "This seed round will augment our revenues and help us grow faster," he added. The Bangalore-based company clocked revenue of Rs 1.5 crore in the financial year through March 2018. It expects to reach Rs 6 crore in this fiscal year. At TaxiForSure, Sirur headed strategy and product management. Dwivedi, who is also the chief business officer at Rocketium, was a product manager at the cab aggregator firm. Rocketium’s web-based software lets anyone create professional-looking videos. The statement noted that 73% of the Internet bandwidth is consumed by videos and this will grow to 82% by 2021. Social media and mobile usage are accelerating this trend, especially in non-English speaking emerging markets. The company’s software is used by 62,000 media, commerce and nonprofit organisations from 85 countries, it added. 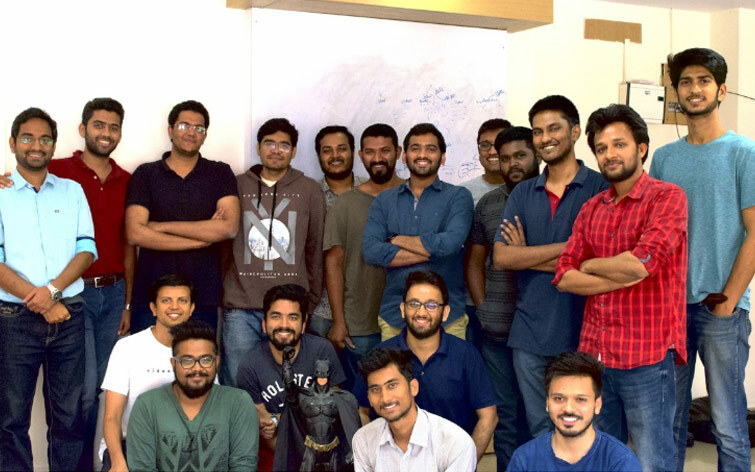 “Rocketium is solving a global problem by making information more accessible with videos,” said Karthik Reddy, managing partner at Blume Ventures. Video-based platforms have been generating some investor interest in the past months. Earlier this month, Wishfie, a platform launched in 2017 for live video debates on current affairs, raised an undisclosed amount in a seed round to build vernacular content as well as its online community. In January, Chennai-based online video software service provider Hippo Video, which is run by Lyceum Technologies Pvt. Ltd, raised an undisclosed amount in a pre-Series A round of funding from early-stage investor Kae Capital. In the same month, video-based entertainment platform Spoofin mobilised an undisclosed amount from Mumbai Angels Network. Mumbai-based Blume Ventures has 80 active startups in its portfolio and has invested in 110 firms in the eight years since it set up shop. It is one of the biggest venture capital firms in India in terms of the number of startups in which it has invested. In March, Blume’s Reddy had told VCCircle it was preparing to hit the road for its third fund in May.